There are lots of ways you can participate in the work of the Trust. Send us your photos If you have photos of whales and dolphins that you would like to share, upload them to our Facebook site or to Picasa. 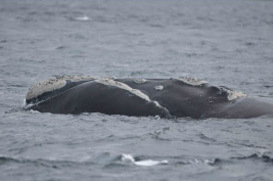 We are especially interested in photos of NZ dolphins with nicks out of their dorsal fins and of right whales showing a clear view of the white markings on the head. Even more so if these are taken in places where their numbers are low or they are only occasionally seen. 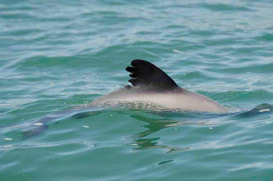 For example, any Hector’s dolphin photos from the north and north-eastern coast of the South Island (Tasman Bay, Golden Bay, Marlborough – anywhere from Farewell Spit to Kaikoura) would be really helpful for our research and for the conservation of these dolphins. Even better if the photo includes a recognisable land background, so it’s clear where the photo was taken. Don’t forget to let us know when and where your photos were taken. You’d be surprised how effective a simple letter can be! Just a one-page letter to the Minister of Fisheries, with a copy to the Minister of Conservation, can really make a difference. 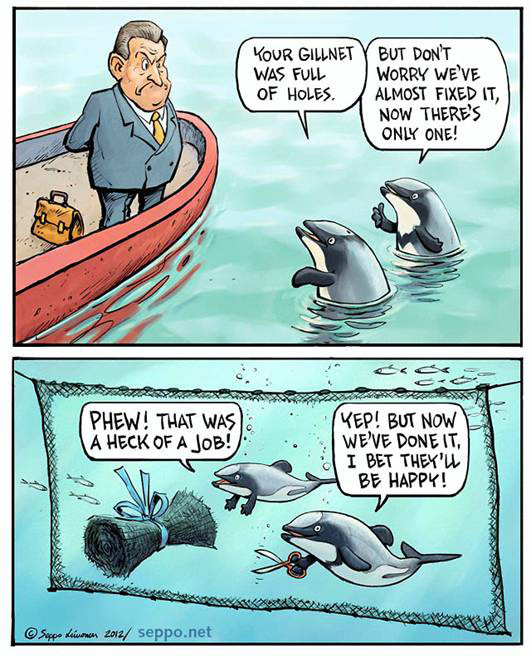 Ask the Ministers to make sure New Zealand uses only dolphin-safe fishing methods in waters less than 100m deep – that means no gillnets and no trawling in NZ dolphin habitat. Watch this space to find out when the Minister has put out a call for public comments on a particular proposal for protection. For example, before the end of 2012 there will be public consultation on better protection for the North Island population of NZ dolphin (also known as Maui’s dolphin). Keep an eye out for public events in your area, and if there are none why not organise an event yourself? Take photos and/or video and post those on our Facebook page. For example you could organise an art competition for the best NZ dolphin photo or painting, at your school or in your community. Or you could draw a cartoon about dolphin conservation. Pass on the information from this site to your friends – over dinner, in the tearoom at work, on the internet. Spread the news, use your networks and help us reach more people. Encourage your friends to ‘like’ our facebook site. ‘Share’ the info on this site and the Trust’s facebook page on your own personal Facebook page, or your company’s page. Eat seafood you have caught yourself, using a hook and line, long-line, fishing rod, dragnet, fish trap, craypot, speargun or any other dolphin-safe fishing method. Don’t use nets and don’t eat fish if you can’t be sure it was not caught using a gillnet or trawling.